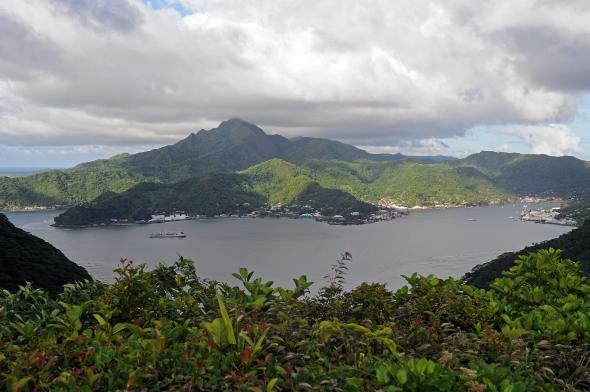 American Samoa: The only place in the U.S. where citizenship isn't granted at birth. How Come American Samoans Still Don’t Have U.S. Citizenship at Birth? Pago Pago Harbour in American Samoa. After an Appeals Court ruling on Friday, American Samoa remains the only place in the United States where U.S. citizenship is not granted at birth. As my colleague Mark Joseph Stern explained recently, anyone born in the other four unincorporated U.S. territories—Guam, the Northern Mariana Islands, Puerto Rico, and the U.S. Virgin Islands—automatically becomes a citizen. But things work differently in American Samoa, a group of islands 2,500 miles southwest of Hawaii. Samoans can only claim citizenship if they have a parent who was a citizen; otherwise, they have to go through the same naturalization process of non-Americans. Interestingly, the government of American Samoa didn’t support the case, filing a brief arguing that U.S. citizenship would pose a threat to Samoa’s cultural autonomy, in particular a communal land system, fa’a Samoa. Under the policy, communally owned land can only be sold to someone with at least 50 percent Samoan ancestry. Today, the U.S. Court of Appeals for the District of Columbia Circuit ruled against the plaintiffs, ruling that the 14th amendment does not apply to overseas territories, leaving a bizarre vestige of U.S. colonialism in place. As it happens, it was a busy day for the overseas territories in the courts: In a more encouraging ruling, a federal judge’s decision made Guam the first territory to recognize gay marriage.